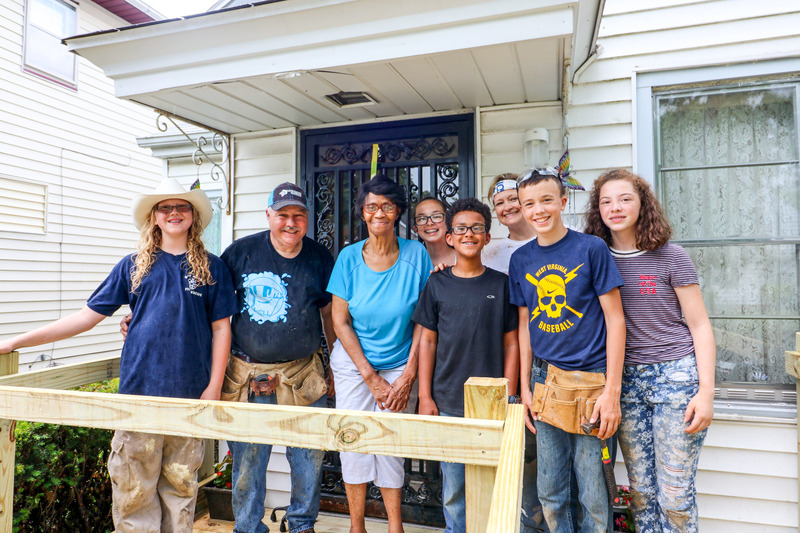 For the third year in a row, nearly 200 middle and high school students along with a dozen or more adult leaders traveled to Fort Wayne to join us at NeighborLink to help neighbors in need tackle major home repair projects. These students all chose to do a regional mission trip through an organization called, Mission Serve. Mission Serve partners with local city governments or nonprofit organizations like NeighborLink to assist in the rehabilitation of sub-standard housing. They believe in being the hands and feet of Jesus Christ and sharing His love through missions and home rehab, which aligns so well with our mission. We have Faith Baptist Church to thank for being the champions of this initiative and their efforts to bring Mission Serve to town and work hard at the housing and food logistics to host that many students for a week. Having over 200 volunteers join us for a week of service with the intention of building relationships and not just complete projects allows us to select projects that will take the better part of the week, require some planning and skill-based training, and include plenty of opportunities for the students to see how their efforts can transform homes as well as neighbors. 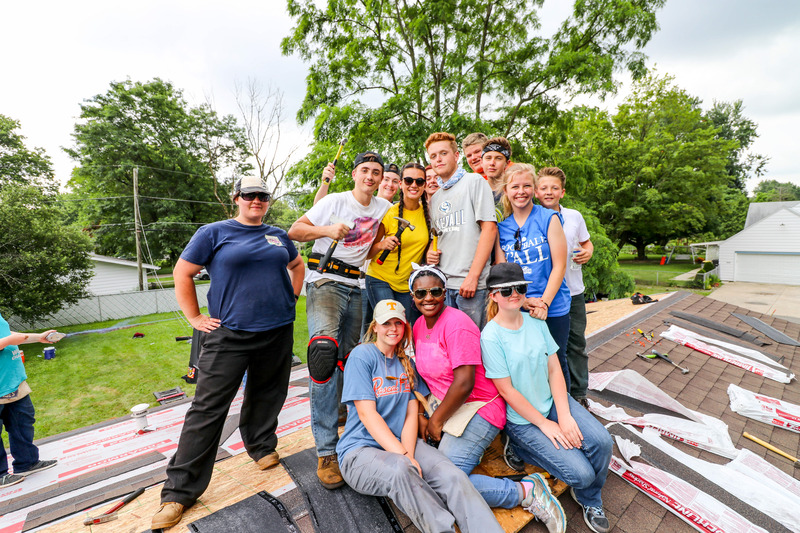 The students did several complete roof replacement projects, built a few wheelchair ramps, and painted a few homes. Our Director of Mobilization, Jeff Shatto, starts working on this project in late March each year in order to select the right projects that will keep students busy for a week, are safe enough to have inexperienced volunteers, and combine the right funding matrix that allows us to cover the expenses required to buy materials. There are no guaranteed funding sources for these projects and Mission Serve doesn't offer any financial support to buy materials, so between the homeowners and NeighborLink, we make sure we can find the right partnerships that work. 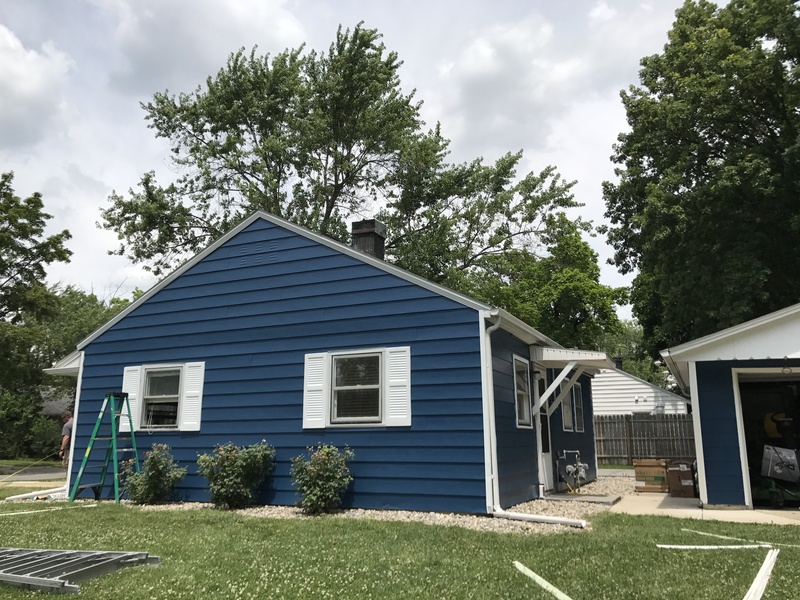 What we love most about the financials is that the homeowners contribute most if not all of the funding for the materials, which allows them to be bought into the project just as much as the students doing the work. Besides the funding, Jeff puts in well over 40 hours of work just getting the project organized and ready before the students arrive on the job site and then spends the entire week running materials, solving problems, and finding new projects if teams end sooner than expected. At NeighborLink, we really enjoy hosting these kinds of teams each year. In addition to these large groups, we also host 5-10 other smaller groups from around the midwest looking for short-term, regional mission trips that allow them to use their skills to help those with tangible needs. The same week Mission Serve was in town, we hosted a church from Dayton, Ohio. If you know of churches around the midwest or other short-term mission teams looking to travel to the area to serve and learn about a new city, please recommend NeighborLink. Our staff is ready to help as many groups as we can learn about Fort Wayne, meet some of our neighbors, and help with projects that we hope transform neighborhoods. Even better, we'd love to host our Fort Wayne churches looking to create local, week-long immersive experiences. We know that part of the experience is to travel and learn about a new city, but we feel strongly that the potential experience of spending time locally could be transformational for any congregation wanting to help their members learn what it truly means for the vulnerable in their community to get assistance. Thank you Faith Baptist, Mission Serve, and all the students that came from all over to join us in Fort Wayne. We are grateful for your help and hope you come back in 2018. If you're interested, you can check out a full gallery of photos by clicking here.